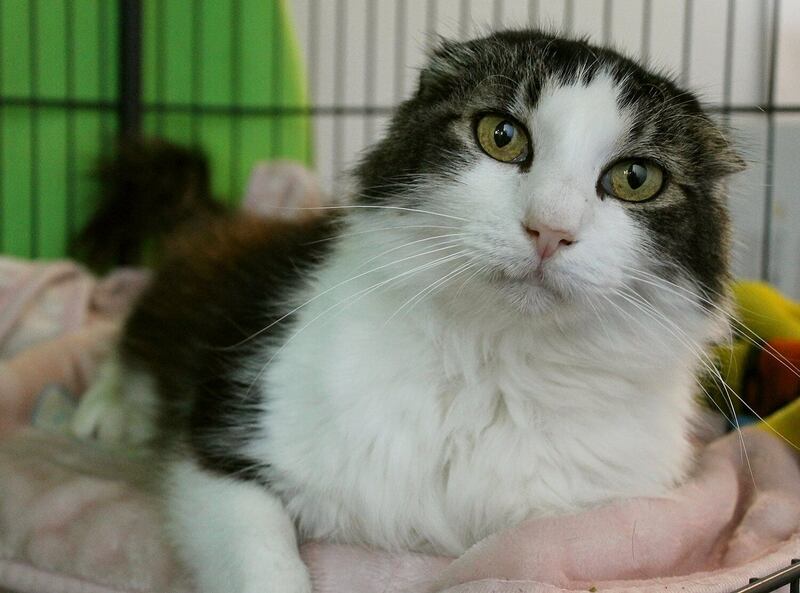 My name is Quint, and I am the sweetest, mellowest, handsome-est 6-year-old guy you’re bound to meet! You probably noticed my unique ears right away — my tiny, folded ears are probably a genetic thing that I was born with. It is most likely that I am part Scottish-fold, which is a breed of kitty with folded ears and soft, medium-length fur like mine! In addition to my striking looks, I have a dynamite personality. I don’t mind being held, hugged, and carried around like a baby. 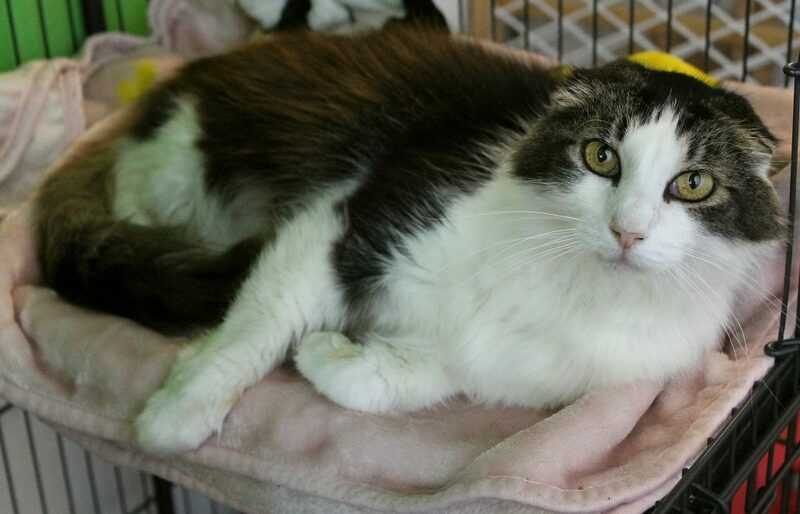 In fact, I ask for it every day here at the shelter and will often purr and drool while being loved on. I’m very easy-going and I do not mind little kids or other animals at all. I do absolutely love my nap-time, and will make a fabulous cuddle buddy! 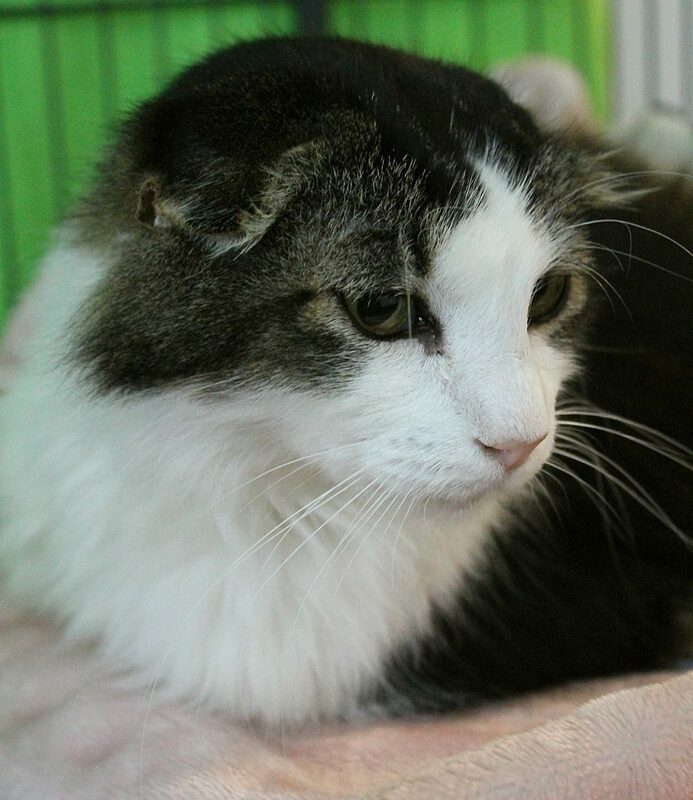 Because my adorable little ears are folded, it is likely that I might be more susceptible to ear infections due to the lack of ventilation — however, all that will be required is regular vet check-ups like other kitties, and good quality care should help prevent any future issues. Pixie already provided a dental for me and I’m overall a very hearty and healthy guy and I’m SO ready to go home with my new family! Aren’t you excited to meet me? Come down to Pixie today! I come to you fixed, vaccinated, and micro-chipped for an adoption fee of $100.